Waheed Zaman said that the video he made was part of a documentary. An aircraft suicide bomb plot suspect has told jurors that a video threatening martyrdom that he helped to make had been a "silly" mistake. 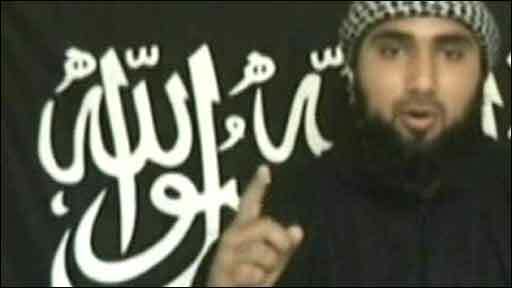 Waheed Zaman, 24, of Walthamstow, east London, admitted recording a video threatening violence against the West. But he told Woolwich Crown Court it was part of a film intended to publicise injustices against Muslims worldwide. 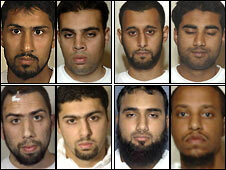 Mr Zaman and seven other men on trial all deny plotting to blow up trans-Atlantic passenger jets. Mr Zaman claimed he was ignorant of wider plans to explode improvised bombs constructed from hydrogen peroxide and soft drink bottles. Asked by his barrister if he had any involvement in the act of "gross barbarism" of planning to explode bombs on passenger jets, Mr Zaman replied: "That is absolutely untrue." Speaking about his video, the former student Islamic Society president said: "It was a mistake. It was something silly, I realised that now. At the time I saw it somewhat differently. "I made a mistake but I don't think I should be punished for something I was not going to do." Mr Zaman said he was asked to record a fake martyrdom video by 27-year-old Abdulla Ahmed Ali after the men met at an east London mosque. He said it would be used as part of an internet documentary using footage from Iraq and Afghanistan to highlight British foreign policy. Asked if he was planning to be a terrorist, he said: "At no stage did I ever even consider that. That is not what I was told. It was for other reasons I did it. "I was not told about any publicity stunt or anything like that or anything to do with chemicals. "It was never my intention to be involved in any kind of martyrdom operation or anything to do with planes." The court has already heard that Mr Ali had admitted planning to explode small bombs at the Houses of Parliament and in airport terminal buildings to publicise the documentary. Mr Zaman described how he was first approached by Mr Ali outside his home in late July 2006 and asked to record the video. He said he had strong political feelings and Ali chose him because he was a confident public speaker. Mr Zaman said the two men felt traditional types of protest such as petitions, letters and marches were being ignored by the authorities. Ali told him he wanted to "add a twist" to his video documentary by including an extremist "ranting and raving" to the camera. The court heard how Mr Zaman met Mr Ali at a flat in Forest Road, Walthamstow, to record the video. While inside the flat, which prosecutors claim was used by the gang as a bomb factory, Mr Zaman was told not to touch anything. He told the court: "I said that the place looks like it is falling apart anyway." Mr Zaman then described how he recorded the video as directed by Mr Ali who encouraged him to be aggressive and to jab his finger at the camera. His barrister James Wood QC asked him how it felt to pretend to be a violent Jihadist. He replied: "Obviously it is an uncomfortable experience saying what I did. It is something that has not been done before. "It is naturally uncomfortable, that is why at the start I was stuttering a lot and making mistakes." The court heard how Mr Ali spoke to another alleged member of the terrorist gang during the filming session to arrange for him to also record a video. But Mr Zaman said he was not aware of what Mr Ali was doing. Under cross-examination by Richard Whittam QC, Mr Zaman was asked how he would describe those involved in the September 11 attacks that destroyed the Twin Towers and killed nearly 3,000 people. But he said others who fought against soldiers in Iraq or Afghanistan were insurgents or freedom fighters. Mr Zaman said: "There has to be a distinction made between people who carry out suicide bombings and kill innocent civilians and those that fight occupying forces." Asked what the purpose of his martyrdom video was, he said it would raise public awareness of the oppression of Muslims. He added: "It was for the government to change its foreign policy and to make the public aware that the problems happening in the UK are directly because of foreign policy. "Not because people hate democracy, freedom and nightclubs and stuff like that." All eight defendants deny conspiracy to murder and conspiracy to endanger aircraft.